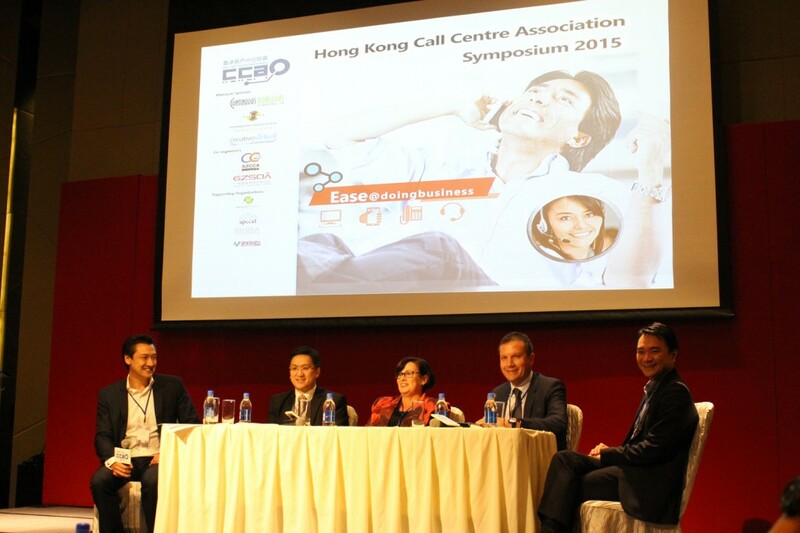 At the end of March, Creative Virtual had the opportunity to attend the annual Hong Kong Call Centre Association (HKCCA) Symposium alongside our partner company Continuous Technologies International Ltd (CTIL), a Platinum Sponsor of the event. The agenda was packed with presentations, panel discussions and networking breaks all focused on this year’s theme of ‘Ease of Doing Business’. On the morning of the first day of the Symposium, our company Founder & CEO, Chris Ezekiel, introduced the audience to natural language virtual assistants and the concept of Smart Help during his presentation titled ‘Omnichannel Customer Engagement using Virtual Customer Assistant (VCA) Technology’. His presentation really aroused the interest of the audience as it was in line with the current evolution of customer contact channels in the region. Over 70% of contact centers in Hong Kong are currently thinking about web-chat and mobile-chat as a new channel of customer engagement. Chris’ presentation highlighted for them the power and flexibility of Smart Help solutions, in particular V-Person™ and V-Portal™ technology, in addressing this change in customer engagement expectations. We also had a lot of really great discussions at the Creative Virtual booth as we spoke with Symposium attendees from Hong Kong and China. They represented a variety of industry sectors, in particular telco, banking and insurance, and were all eager to learn more about how Creative Virtual is helping companies to improve their customer service and overall customer experience while also reducing customer support costs. Our thanks to HKCCA for hosting the Symposium, to CTIL for inviting us to participate in the event, and to everyone who attended Chris’ presentation or stopped by our booth; we had a wonderful two days at the event. If you’d like to learn more about how natural language virtual assistants can improve the ease of doing business with your company and benefit your contact center, please get in touch. Please also take a few minutes to complete our 2015 Customer Support Outlook Survey by clicking here.